A reverse mortgage is available to seniors 62 and older regardless of income or credit. Homeowners who obtain these loans do not make monthly mortgage or loan payments but instead receive either a lump sum of money or monthly installments paid directly to them based on the equity in their home. The loan does not have to be repaid until the last borrower passes away, at which time there are options available to heirs. The amount of the loan depends on the amount of equity in the home and the age of the borrowers – the older the borrower, the more money they can receive. This is an excellent option for seniors on a fixed income, with questionable retirement funds, or declining health. 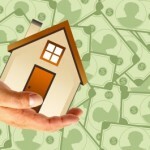 A home equity loan also taps into equity by borrowing money against the home. This type of loan will be processed as a conventional loan and income and credit restrictions will apply, as well as monthly payments will need to be made to the lender. If income is fixed, it could be unlikely a senior will qualify for a home equity loan. Any health or future financial concerns should be thoroughly thought through prior to taking out a home equity loan. Loading up the home with debt during retirement can be risky and could result in loss of the home if the borrowers are unable to make their monthly payments. Another option would be to downsize all together by selling the existing home and moving into a more modest situation. Depending on the amount of equity in the home, a homeowner may be able to sell the home for enough money to comfortably be able to make rent or mortgage payments for 10 to 20 years. Just as with a home equity loan, this option could be risky for a person with health concerns as the funds set aside for housing could be needed elsewhere. 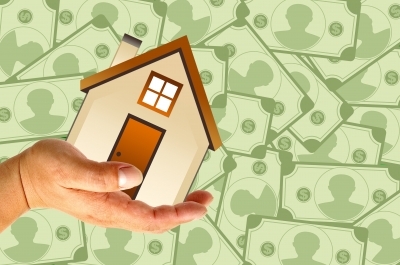 ← Should Reverse Mortgage be in your Retirement Portfolio?